HomeBlogAre you experiencing dry mouth? Are you experiencing dry mouth? Dry mouth, or also known as xerostomia, is a condition that is experienced by most of us at some point of our lives. In most cases it is temporary, but for some people it can be a chronic problem. Prolonged dryness can also be a warning sign of a more serious medical condition. Dry mouth is caused by the insufficient flow of saliva from your salivary glands. The two major salivary glands are located inside the cheeks beside the back top molars and at the floor of your mouth. There are approximately six hundred tiny salivary glands that are located throughout your mouth. On an average, your salivary glands secrete between two and four pints of saliva daily! It may sound like a lot, but the saliva plays an important role in buffering or neutralizing the acids in the mouth. Without this protection the acids can attack the teeth and cause rapid tooth decay. Saliva also aids the digestion of food. Sometimes the dryness is normal. For example, saliva flow is less during night so you may feel some dryness in the morning. 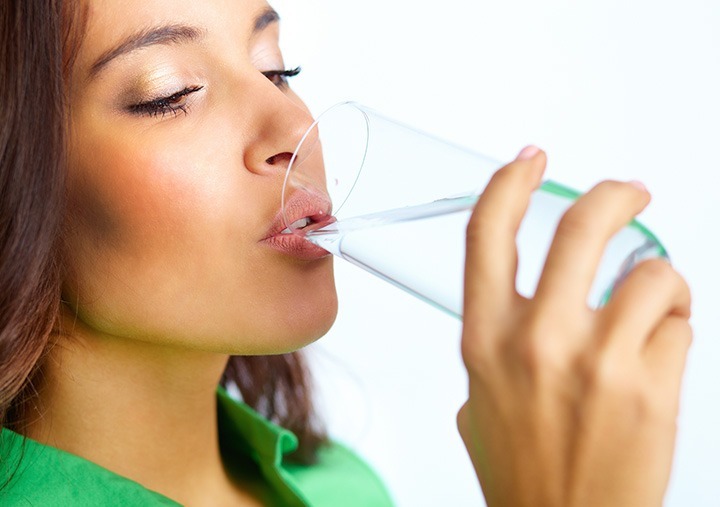 If you are dehydrated, you may experience dryness which is a warning sign to drink more water. Stress is another factor that causes dry mouth, when we are stressed we tend to breathe more with our mouth rather than through our nose. Stress also increases the amount of acid that is produced in our stomach causing acid reflux, which leads to dry mouth. Coffee, alcohol, onions and some spices can lead to dry mouth. Some medications have side effects which can also be a cause. If the dryness is present all or most of the time, it could be an indication of an underlying disease such as diabetes, sjogrens syndrome, anemia, Alzheimer’s or an auto immune disease. If you suspect any medical problems, you should consult with a physician. Dry mouth can make you more prone to cavities, gum disease and oral infections so it’s important that you visit a dentist regularly. It is recommended you have a dental check up at least every 6 months to ensure good oral health. If you have any more questions or would like to schedule an appointment, please contact one of our branches. Thanks a lot for sharing kind of information. Your article provide such a great information with good knowledge. Next post: How Safe and Effective Are Whitening Toothpastes?